Angelica will be the first to tell you that she is not the most responsible person in the world. But, she has an incredible gift of gab. She can share her faith and motivate others. It has never been said that I am the most caring person in the world. I don’t always “feel your pain.” What I am good at is getting on task and getting things done. I am good at pushing Angelica’s “crazy” dreams through. power to make it better. If we consider what many people did before us, we can see we are living the benefits of their sacrifices. Angelica and I want people to live the benefits of our sacrifices and we really cannot do that without y’all. I mentioned in our past newsletter that we are facing some problems — problems that were right under our noses — things we let slip through the cracks. Directly in front of the Agriculture project lives a family whose children go to the Susanna Wesley School. They are one of the poorest families in the area and from time to time, we help them out. Unfortunately, it took a teacher in the school to point out just how bad-off this family is. The teacher noticed a pattern of learning and health problems. All eight children seem to be showing the same signs in one way or another. They are not very active in the church; although, they are always around for school activities. Angelica and I wanted to help the family but did not want to just offer funds. planting different things and having cooking classes. At the same time, we were dealing with learning challenges in our own family. I felt like this was a perfect opportunity to put in action some of the things that we had been considering. We are planning on helping out a little and teaching this family about gardening. Putting in action what we were really already planning. This is something that many families have picked up on and started; we just need to spend a little more time with this family. Also, because of personal experience, we are now more aware of children with learning difficulties. We are looking into ways we can offer the people of the Interior some of the options that children have in Asunción and/or the States. Cooking classes have their fringe benefits! Each year we offer a camp for the youth from all the Methodist churches in the country. I have spoken about this in several newsletters. 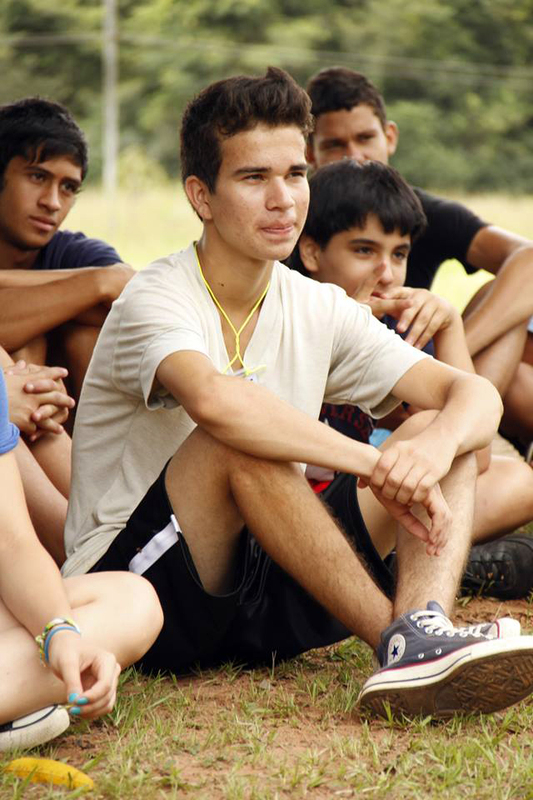 We have kids from all over Paraguay, but most of the kids come from the capital city Asuncion. Over the past few years, we have tried to visit every church in the country. 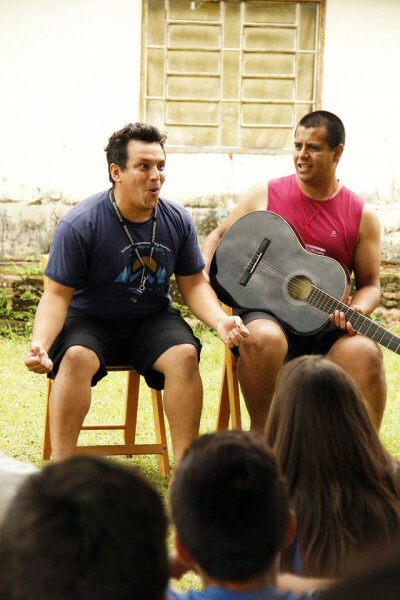 We wanted to give the youth in the rural parts of Paraguay a little more attention. This year, with the help of a team, we had a youth camp in the northern district. We spent two days with over 50 youth and had a great time together. One of the things we did was divide the boys and girls and spent time talking to them about different things. The girls were split into two groups between Angelica and another lady. Both were surprised to discover the number of girls who had been sexually abused. Most of the girls did not come from Christian homes and few had Christian neighbors. We knew this was a problem in rural parts of Paraguay, but certainly did not expect it to be so rampant. Angelica discovered that almost all of the girls she counsels who have serious emotional problems, were sexually abused. Please join us in prayer for this problem. Angelica and I have been hosting teams since we began our ministry here in Paraguay. Most of the year we work with fellow Paraguayans to help people and share Christ, and we only have a few months a year to work alongside our American friends. Hosting teams is a lot of work, creates a lot of unknowns, and never goes as planned. We like that. This year we had an unusual number of flight, luggage and visa problems. We also had the best experiences we have ever had with teams. We know that teams want to help and come down to serve the Paraguayans, but Angelica and I work hard to make the time here a ministry to the Americans as well. What we experienced this year was different; a ministry to us. No matter at what stage we are in our Christian lives we can always be ministered to. I recently watched a movie about a woman who fled Austria during the World War II. It was a true story, and she mentioned several times during the film that her new home was America; in fact she said she would never return to Austria. The United States is full of people who have made new lives, full of people that now call America home. Many immigrants to America are glad to put the past behind them and would never think of returning to the places in which they were born. They have become safe and have prospered in America. I now call Paraguay home. This is where I met my wife and where our kids were born. We feel comfortable here and we enjoy what we are doing. But unlike many people who have made America their homes, I don’t look back on my home country with ill feelings. I look back at a country where I was given the opportunities and education to live anywhere in the world I chose. We enjoy living in Paraguay and what we do, but we will never forget the people who make it possible to share Christ in this part of the world. It’s good to be Angelica. When living in a country that has temperatures of 90 degrees or higher, more than half the year, early mornings become treasured time. The hours between 5:00 and 8:00 a.m. are the most enjoyable part of my day. Angelica likes the mornings as well, and we usually have breakfast together each day. 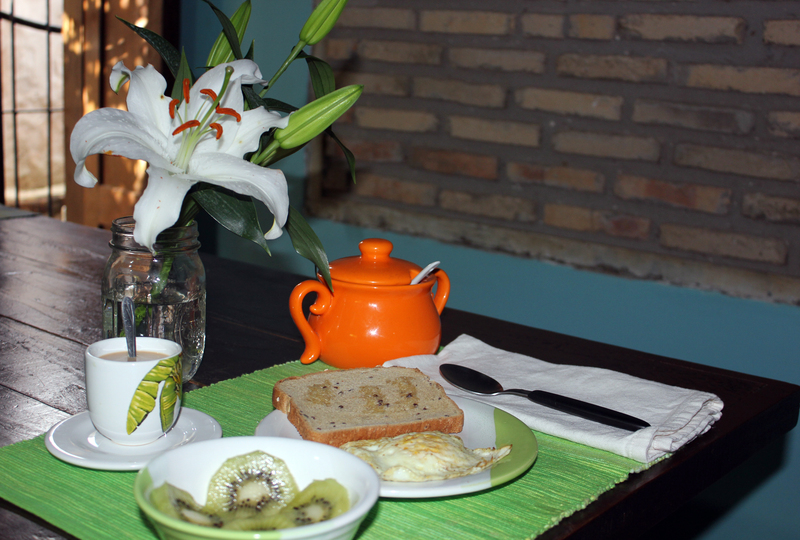 Lately, I have been eating breakfast alone or with a very unpleasant woman. God has blessed Angelica with the ability to help people break free from debilitating situations. We work with a tremendous number of women and youth that suffer from economic, social, and spiritual problems. 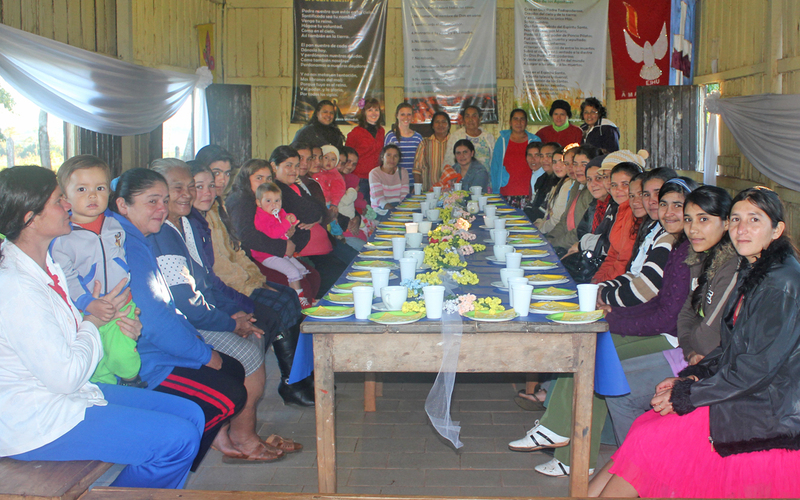 The Paraguayans believe in the power of prayer and trust Angelica to walk them through liberation from their suffering. This has involved many late nights and even a few overnighters. We don’t get to share our morning together as much as we use to, but we thank God for the people who have been freed and are living more productive lives. Waldimar is a very faithful member of our church. 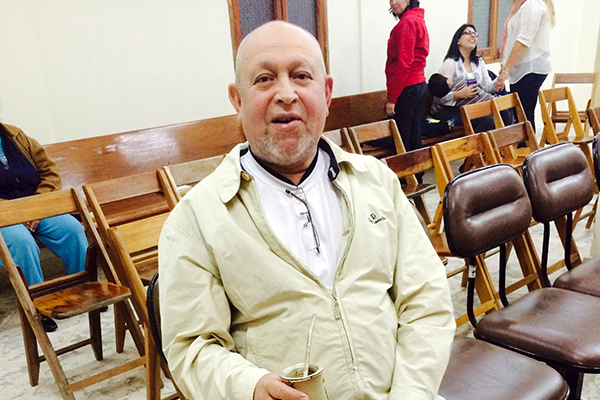 Ever since I have been here in Paraguay, he has been a mainstay at almost everything we do. Waldimar was diagnosed with cancer a little over two years ago. He has been through a number of physical and financial struggles. He is getting along much better and attributes it to the many people that are praying for him. He hardly ever tells his story of the trials he has been though without mentioning the ladies from Alpharetta, Georgia that prayed for him. We just dropped in to the hospital for a few minutes to pray for him, and he gets tears in his eyes each time he tells the story. So many times, we read in the news about helpless situations — countries and people that cannot seem to dig themselves out from under poverty and corruption. Environments that don’t seem to get better and sometimes are worse. Places that, no matter how much effort, continue to spiral out of control. Paraguay, while a small insignificant country, seems to be on a constant path of economic and spiritual growth. 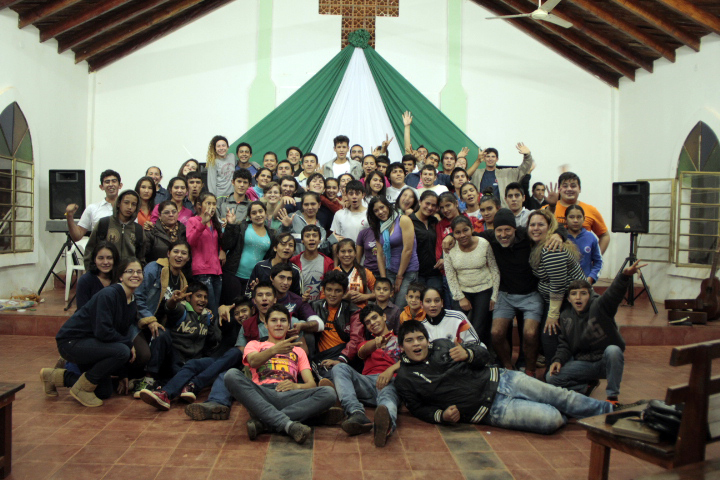 The youth that Angelica and I work with here in Paraguay are positively affecting the church and their country. They are strongly rooted in Christ, educated and motivated. We have invested time in a few young people and it has paid off tremendously. These youth are reaching heights that Angelica and I never dreamed of. Many of them have gotten or are getting an education because of a scholarship from y’all, through us. Most of them are the first generation in their family to grow up in the church, receiving years of Christian education and support. Angelica and I feel that some of these youth are ready and in many cases maybe even better equipped to share Christ here in Paraguay or in other countries. We are exploring ways in which we can help them reach their potential. I recently read in a book that when we have a dream/goal to not ask “How”, that how is God’s department. Angelica and I don’t know exactly how to help some of these youth, but we do know that God has equipped them to share Christ throughout the world. We often hear people say “youth are our future.” In my younger days, I recall parents saying “learn all you can from your children before they turn 18 and forget everything like their parents.” Now, as a parent myself, I think some of those people might have had a good point. I learn A LOT from my daughters, so I can see the wisdom in saying “the youth are our future!” However, it’s false if you are talking about the church here in Paraguay. In Paraguay, the youth are not our future. The youth are our present. The youth alone make up more than half the congregation of our churches. They don’t just fill a chair in the crowd. They serve in the church. Even some of our pastors would be what many of y’all would consider youth. 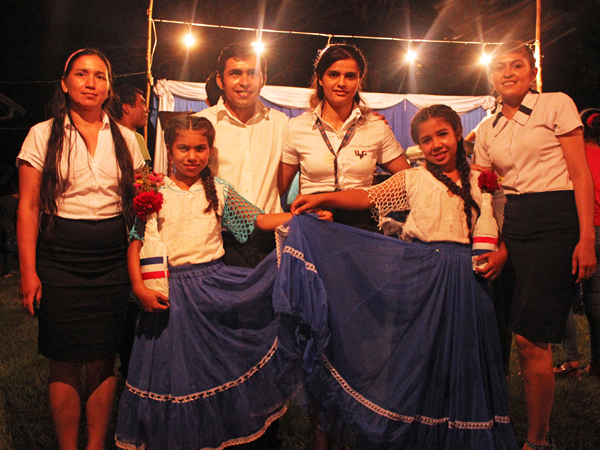 The evangelical church here in Paraguay is teeming with energy, inspiration and vision. They understand that the power and joy of knowing and serving Christ is for people of all ages. Most of these young Christian are first generation followers of Christ. Many don’t have parents who live out a Christian example in their lives. Their problem is not conviction of faith, it is how to live out their beliefs on a day-to-day basis. They believe in Jesus and want to know how that should direct their lives. The youth down here in Paraguay are the life of the church and Angelica and I are grateful for the opportunity to help them apply their faith and for the opportunity to work along side them. Angelica, Camila, and I just finished our annual Adolescence Camp for the National Church. For three days, we had kids together from all over the country. It is three days of noise, celebration, learning, praying, singing, playing, and very little sleep. Oh yeah, and also there are power outages and extreme heat. The kids are so intense that we bring in “pinch hitters” for various activities just so Angelica can rest a bit. When I need a break, I usually pull the father trick and say, “I need to take care of AnnaBelen.” If we are able to get more than three hours of sleep each night, we are lucky! These camps are tough on us older people, but they are worth it! Each year the experience seems better. Each year the kids are touched more. Each year the kids leave feeling forgiven and enabled. 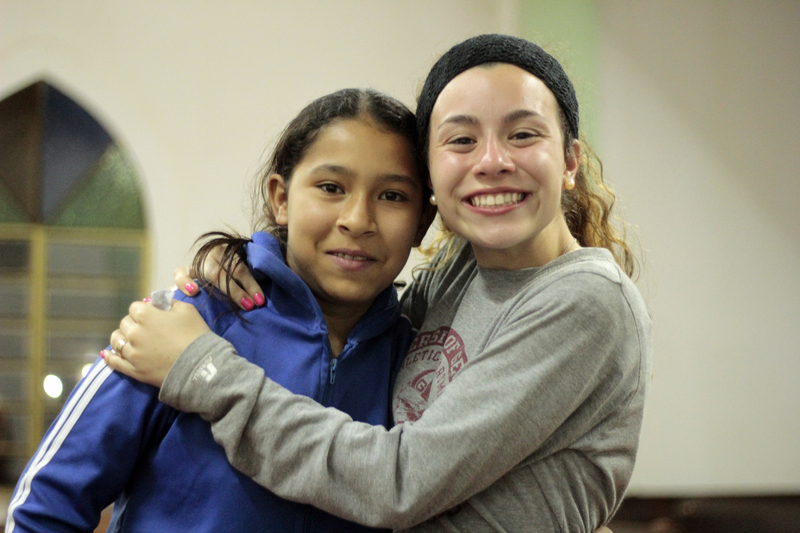 Each year Angelica and I come closer to God through our time with these kids. Now it is time to get ready for Youth Camp! Whenever I travel to the Interior, AnnaBelen always wants to come. If she is not in school, with a little encouragement, I can get Angelica to agree. Angelica is a little gun-shy because of the times I have broken down and spent the night in my truck. I can usually convince her by reminding her that I am like the Paraguayan MacGyver and can usually get us out after minimal inconveniences. A few weeks ago, AnnaBelen and I were set to travel to the Interior with a pastor friend. He called at the last minute to ask if he could bring “someone he is working with.” When Angelica found out that the “someone” is a recovering drug addict who had been sober for only eight days, she yanked AnnaBelen from the trip. This was followed by one of AnnaBelen’s speeches about the “kind of people” that I was hanging-out with. “A missionary should care more about their children and not hang out with such people.” Despite hours of protest by AnnaBelen, I eventually agreed with Mama and went without AnnaBelen. Now I am worried about what AnnaBelen might think about some of my college buddies. 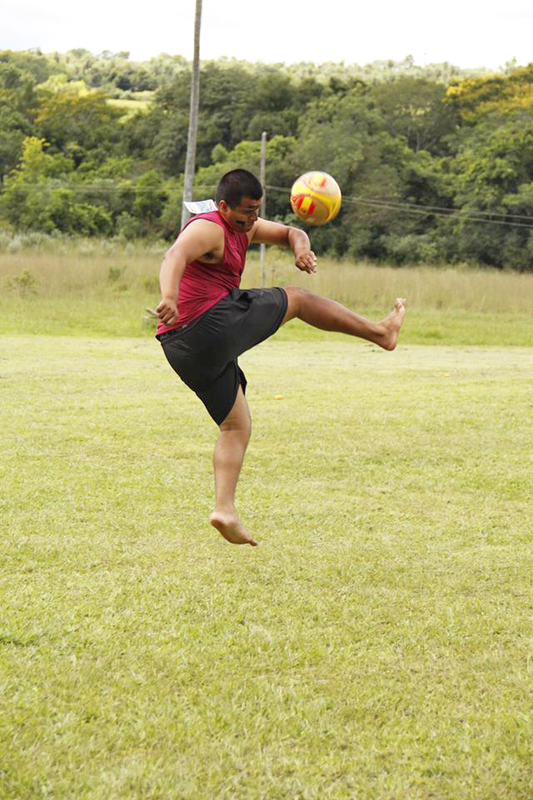 Not all Paraguayans are graceful on the Futbol field! I always questioned whether giving was truly greater than getting. You can’t beat getting a good (expensive) gift or even a surprise gift. Who does not like looking under the tree and seeing lots of presents marked with their name. Many people say that Christmas is their favorite holiday, usually rolling off a number of reasons. But I expect it is because of the gifts. Over the years here in Paraguay, I have begun to feel the joy in giving. So much has been given to Angelica and I. We have had so many opportunities to give gifts, scholarships, and help. Most of the funding for these gifts is not even ours; it is just resources that come through us. We get to benefit from the generous giving of so many of our friends at home. It is really nice to be able give gifts to people that usually don’t ever receive. 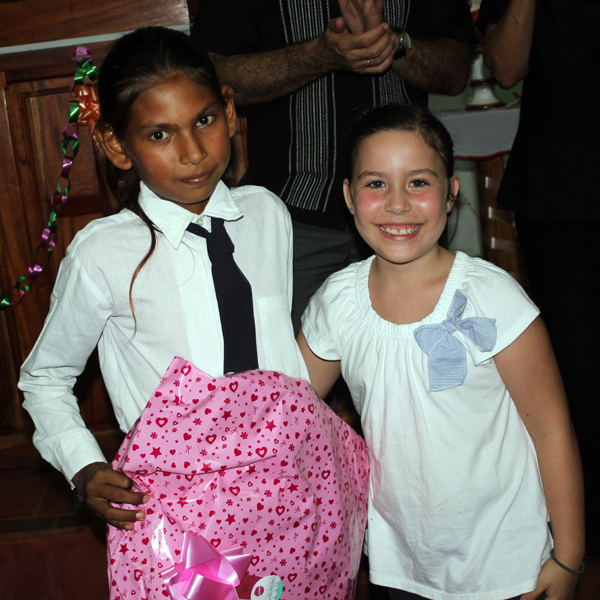 We thank all of y’all for letting us see the joy on the faces of Paraguayans when we give to them. May y’all all have a Merry Christmas and come to know the joy of giving to others. Not only is Christmas the month that we celebrate the birth of Christ, but it is the month that we celebrate graduations. Here in Paraguay, December marks the end of the school year. This year was special because Angelica graduated from Seminary. Juggling school with all of Angelica’s other responsibilities was really a challenge. There were many nights that she only got a few hours of sleep, many weekends without any rest, and a lot of stress. The kids and I are very proud of her and know that this will add to the ministries here in Paraguay. 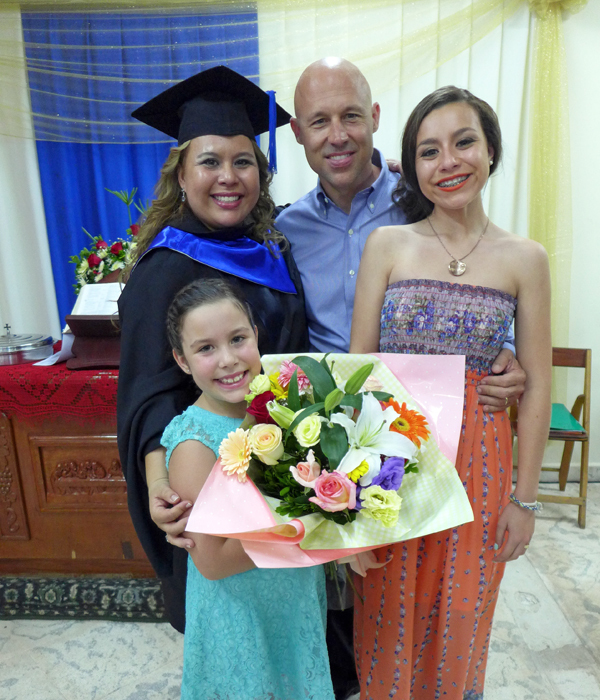 Angelica and I were blessed to be able to help several of her classmates afford Seminary. A few of her classmates traveled from the Interior each week, returning to their churches late Saturday nights. We look forward to working with many of them in ministry here in Paraguay. December is also the month for graduation at The Susanna Wesley School. This is always a big party and Angelica is challenged to make it better each year. One of the teachers at the school informed Angelica that several families had been fattening up a pig for the event, and they expected a big affair. As always, Angelica was able to pull it off, even with the rain and threat of power outages. (Most everything is done outside in the Interior, so weather is always a factor.) We had a great celebration with live music, speakers from Asuncion, and lots of food. It is just graduation from the sixth grade, but it is as far as most of the kids will go. Not only have these kids been able to study about the world for six years, they have also had the very unusual opportunity to study the Bible as well. 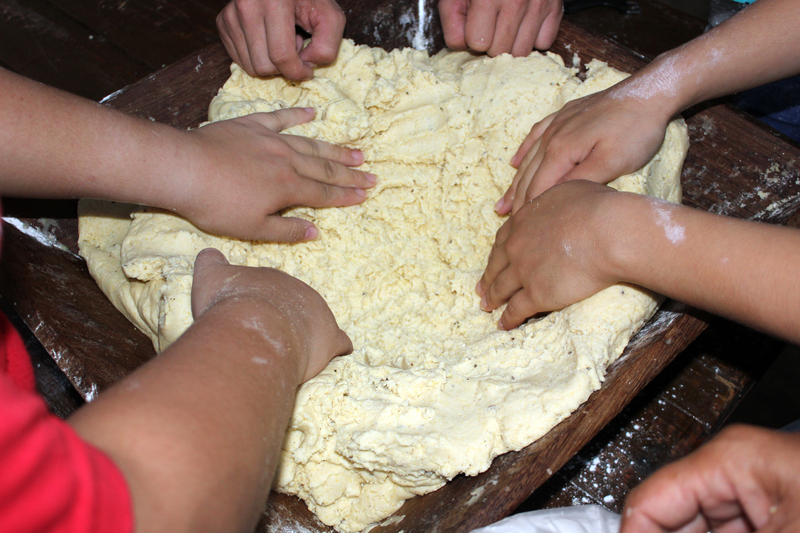 For the community in Quinta Linia, this is a major cause for celebration and a time to demonstrate thankfulness. 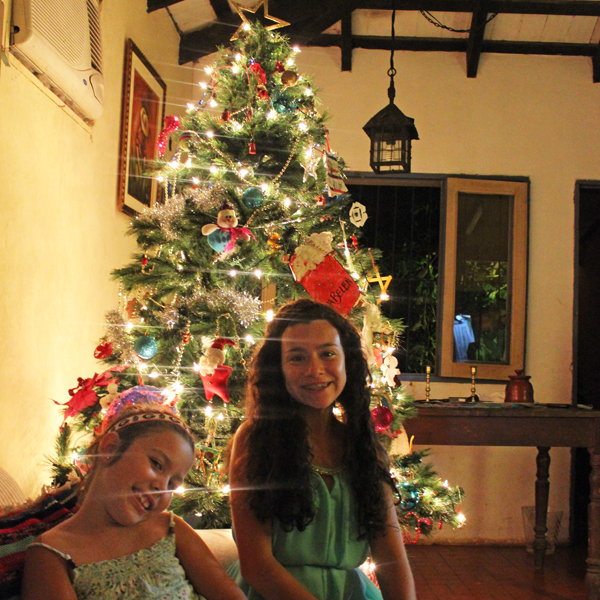 In Paraguay, decorating the Christmas tree is done in shorts. There is a saying in Paraguay for people who drop in uninvited to events. It’s used in the verb form and is called Pirateando (being a Pirate). When we have events at the school or the Agriculture Center, we get lots of people Pirateando-ing. 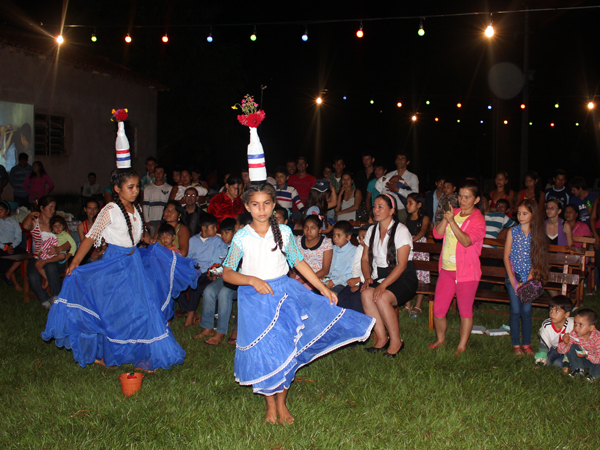 There is not much happening in the interior of Paraguay, and the Paraguayans always jump at the opportunity to get together. We just say, “the more the merrier” and are happy to have them. 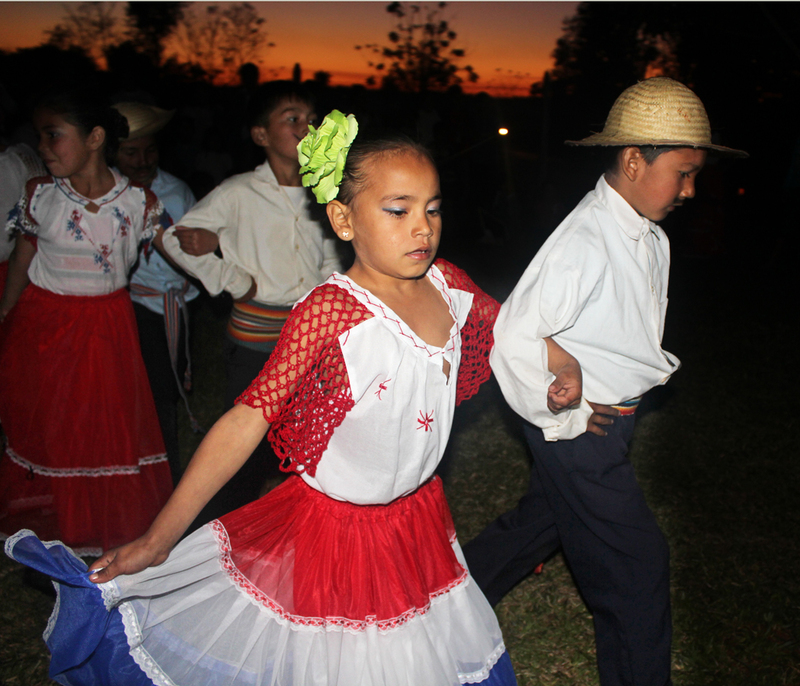 Several weeks ago, we had an event at the Agriculture Center with Paraguayan music and dancing. I noticed a boy there who I had never seen before. After the event, Angelica and I were on the front porch as the young boy headed off into the distance on his bike. With tears in her eyes, Angelica told me this young boy had approached her and asked if he could attend the Susanna Wesley School. He said that he wants to be an engineer and knows that he won’t be able to get the education he needs from the school he attends. The boy had attended the Susanna Wesley School several years ago and had moved away, but is willing to travel a good distance to attend again. Unfortunately, he is just finishing up the sixth grade and the Susanna Wesley School only goes up to sixth grade. There are so few opportunities for children living in rural areas of third world countries. Occasionally, there are kids who have the will to persevere and just need a little luck or help along the way. The ones who really want it will diligently seek out opportunities. Many of these opportunities come from Christian programs. While the Suzanna Wesley School may not be able to help this young man, Angelica and I plan to pay him a visit to see if there is a way we can help. Jefry had been struggling with school and asked us once if God would help him make good grades if he prayed for it. We told him that he would probably get better results if he prayed for a changed attitude in study habits and paid better attention in class. This last quarter, he got good grades and the best math grade in his class. His mom asked him how he did it and he said, “I prayed that God would help me be a better student, just like Angelica taught me.” The other kids in class also took note that he would pray before tests. Now, Jefry’s mom says that he can go anywhere he wants with us. In July 2012, a missionary team from Alpharetta, Georgia hosted local women for a traditional American Tea Party, then offered a devotion. I Always Thought Being Married to Angelica Would Pay Off Someday. Being a family made up of both Americans and Paraguayans, Angelica and I have been able to benefit from our long relationships with friends from both countries. I have mentioned this before, but it is worth mentioning again. 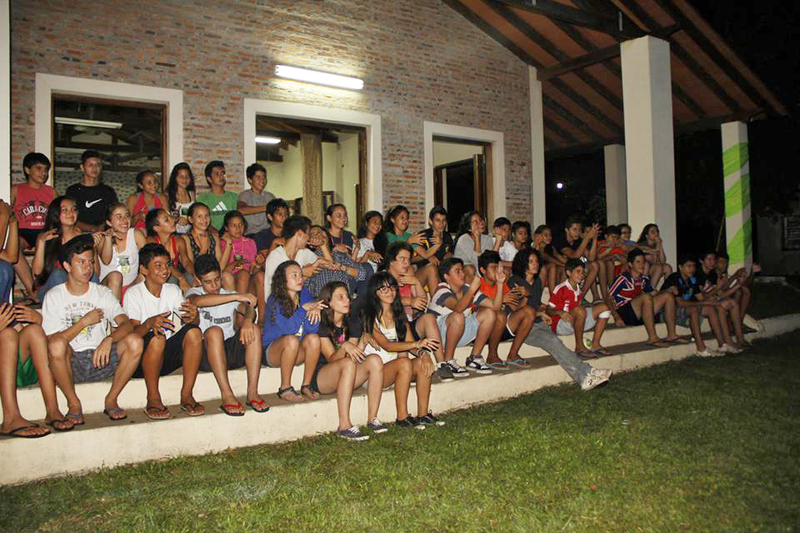 The Christian friends that we have here in Paraguay and in the US are a tremendous part of what we do down here. We have received so much help from so many people that I sometimes feel bad about taking credit for our successes and occasional miss steps. 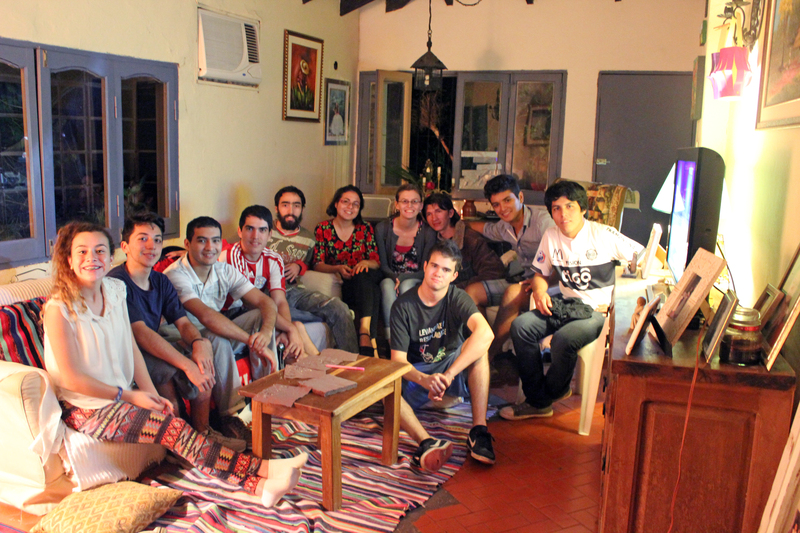 God has blessed us with a talented group of youth here in Paraguay, who are always available to jump in and help us out. Every once in a while, God will put an idea in my mind and after a few phone calls home, the wheels are set in motion. So much of what we do here is relational, and it strengthens us to have such good relationships with people in Paraguay and the US. Almost nothing that we do here could be done on our own, and we thank God that we have other Christians to call on for assistance. 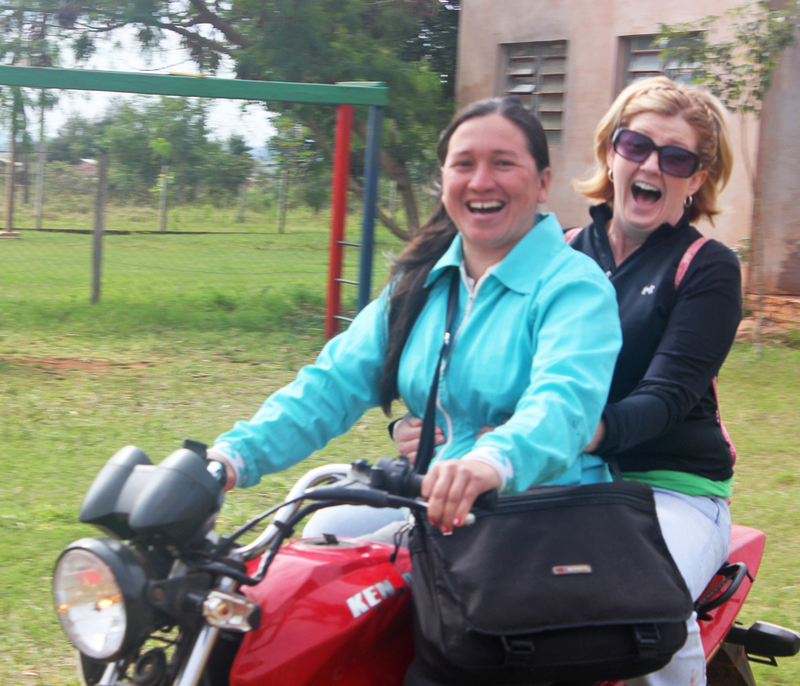 Paraguayan Fact: Missions is fun! Pray for an event we have planned for August 24-25 at the Centro Agritenico Metodista. We have invited someone from the Ministry of Agriculture to teach. Pray for a baseball clinic that we are hosting in conjunction with a medical team in September. Pray that this will open up new opportunities for us to share Christ. Pray for AnnaBelen in her new class this year in school. Pray for AnnaBelen’s teacher. The teachers at the school are missionaries and sometimes have difficulty in the first months.